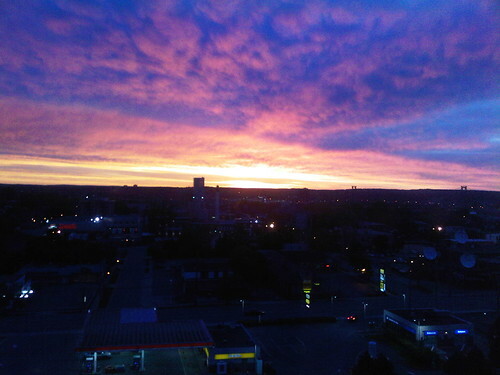 HALIFAX SUNRISE 20120604-0522, originally uploaded by BigAssSuperBlog. Gorgeous sunrise over Halifax, as seen from the News95.7 control room on the 9th floor of the Young Tower, Young and Robie. As much as I don't adore getting up at 2am to come to work -- and it's a comparatively rare event -- I do appreciate that I've been able to see more sunrises than many people do in a lifetime.